We stock a variety of leather for handcrafting journals and diaries. Often our vegetable tanned leather articles seem to be the most popular with our clients, mainly because of the aged and vintage look the leathers can provide. Its worth remembering, we have lots of ‘one off’ hides to make a special bespoke gift for someone. 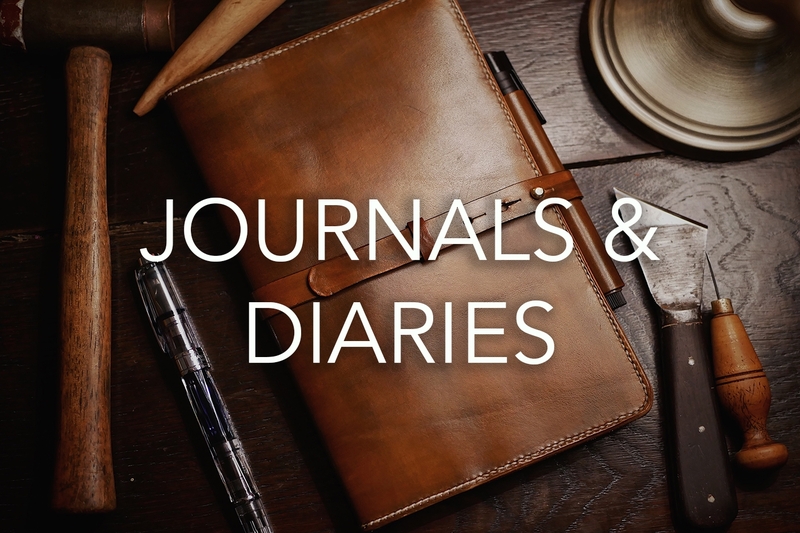 The journal featured in the photograph above is made from our Horween Heavy Horse (DHF) - Tan.